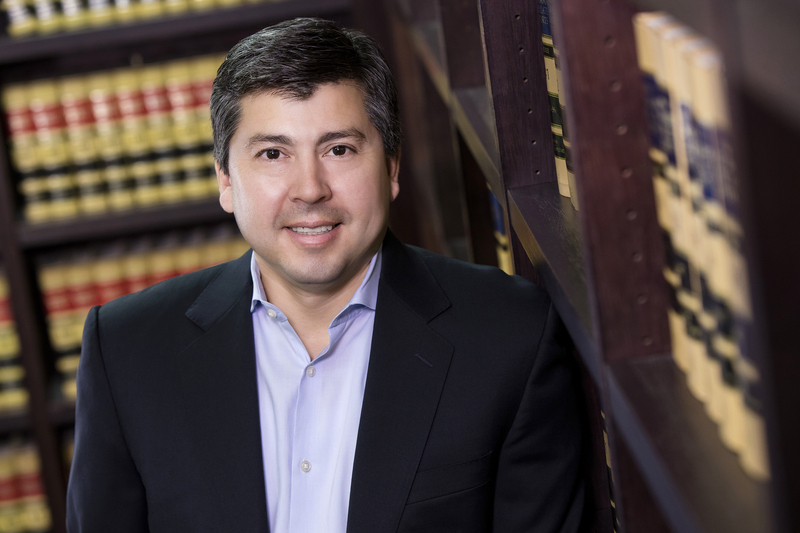 Richard Rios ’05 is Managing Partner at Olson Hagel & Fishburn LLP, where he specializes in political compliance and election law. He is a former member of the Executive Board of the California Political Attorneys Association. He also has extensive experience as a senior advisor to California state legislators and statewide elected officials and as a field coordinator for legislative campaigns. What initially drew you to political compliance law? I started my career as a California Senate Fellow. That was my first job out of college. I received master’s-level credit through the CSU system working for Senator Bill Lockyer when he was Senate President Pro Tempore. I was a professional staff person in the Legislature for nearly ten years and served a variety of different legislators. I had always been passionate about politics and also aspired to becoming a lawyer. My practice allows me to stay involved in the legal side of public policy development and politics, which is a perfect combination of my interests. Did you ever think your field would attract as much interest as it has recently? Never on this level or for these reasons but, as we are learning now, the 2016 presidential election appears to have involved a number of unexpected and high profile campaign finance issues We are also continuing to see the impact of the Citizens United case. Citizens United has definitely reignited the debate about our campaign finance system and the role of money in our political system. My favorite part is working with clients directly to develop strategies that further their political and public policy goals. Have you ever needed to figure out any strange political compliance issues? Lots of them. There are many nuanced issues and continuously shifting fact patterns in campaign finance and election law where the proper application of statutes and regulations isn’t clear. We have to make judgment calls and advise clients on the risk factors involved in taking certain actions. This can be difficult for clients because clients who hire election lawyers to advise them want to make sure they comply with the law. For example, in 2016-17, a senator was being recalled and the law wasn’t clear on how certain campaign contribution limits apply in the context of recall elections. Ultimately, we had to request an opinion from the California Fair Political Practices Commission to resolve the issue, which involved the Commission reversing its longstanding interpretation of how the limits apply. At the same time, on the election side, we were dealing with legal issues involving the recall process because recalls don’t happen very often on the state level. I worked in the State Senate as a senior consultant to the Senate Majority Leader while I was waiting for my bar results. After I passed the bar, I started at Olson Hagel & Fishburn. I’ve been here ever since. Mock Trials Competition: trying a mock case in front of a professor who was a judge. Also, being called on the first day of Con Law for a question about Marbury vs. Madison. I did okay, so it wasn’t a bad memory. I also really enjoyed interacting with my fellow King Hall classmates and professors. I had such a great experience at King Hall. Overall, King Hall provided a great foundation of skills that I call on everyday in my practice. As a student, I was drawn to Constitutional Law classes. The writing and research labs also prepared me with core legal skills. Little did I know at the time, but Legal Ethics comes into play quite frequently in my practice: conflicts of interest and other ethical duties and responsibilities we owe to clients. These are things I cross in my practice daily. Did you participate in extracurriculars as a student? Not as much as I would have liked because I was working as a law clerk for campaign law firms during the year. I clerked for two law campaign law firms during law school, Nielsen Merksamer and Remcho Johansen and Purcell. I feel that these clerkships really helped me begin to develop a base of knowledge and skills in the practice area I hoped to work in. How have you stayed involved with King Hall? My firm stays involved through King Hall’s annual Capitol Reception. We attend to meet students who are interested in our field, and we also are a sponsor. We also have an active summer law clerk program here. Some of our attorneys started as summer law clerks from King Hall. My advice for law students is to find an area to work in that is also your passion. Success is easier when you are really passionate about your practice. It feels less like work. And to have fun in law school!